Pacific Pain Clinic offers compassionate office-based opiate detox services to patients in Irvine, California. This protocol allows patients to eliminate opiates from their system safely on an outpatient basis. What Is Office-Based Opiate Detox? Office-based detox, which may also be called "outpatient opiate detox," is a detox program that doesn't require the patient to remain in the hospital during treatment. Instead, the patient visits the clinic on a regular basis to receive the medication he or she needs to deal with withdrawal, as well as to receive any other necessary treatment services. Is Medical Treatment Necessary During Opiate Detox? Like most addictions, opiate addiction is extremely difficult to overcome without help. Patients who are coming off of opiates experience strong cravings for the drug, as well as uncomfortable withdrawal symptoms. Some of the symptoms patients may experience during withdrawal may include yawning, sweating, runny nose, insomnia, muscle aches, anxiety, and agitation. Without supportive treatment, many patients will relapse while trying to overcome their addiction. Receiving medical treatment on an outpatient basis helps patients improve their odds of overcoming addiction. These treatments also reduce discomfort during detoxification. What Medications Help with Opiate Detox? 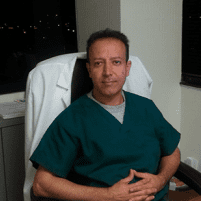 Dr. Sedaghat may prescribe several different types of medications to help with opiate detox. Some of the most common medications used for this purpose include methadone, buprenorphine, and clonidine. All three of these medications can reduce the symptoms commonly associated with opiate withdrawal. Methadone and buprenorphine can also help to control patients' cravings. How Long Does Office-Based Detox Take? Every patient's condition is different when the detox program begins, so the length of the program may vary. Patients who take larger doses of opiates or have been addicted to opiates for longer periods of time may require a more intensive detox program. Dr. Sedaghat will be able to provide more information about the approximate length of the program after meeting the patient and completing an evaluation. Depending on the patient’s response, the program may be lengthened or shortened later.